Season of passion, Summer! Famous social media stars in China visited Korea! Recording total 900 million views on Weibo in 2016, one of the 2018 Forbes China ‘30 under the age of 30 elite’, China’s travel star blogger Suphy liu! China’s power blogger boasting 610,000 followers, Nicole Li! And finally, China’s travel blogger with a number of enthusiastic fans, Xesyes! 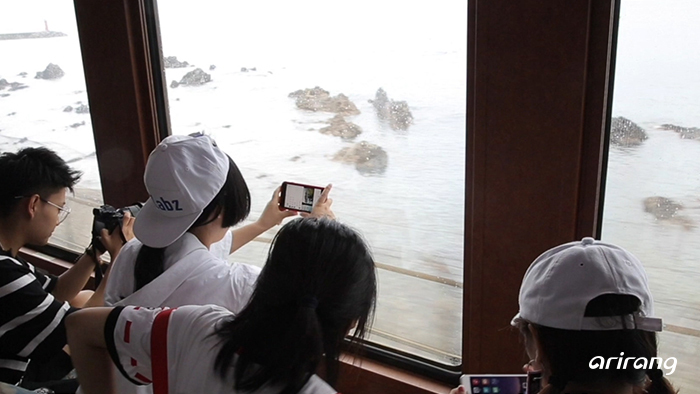 China’s social media stars visited Korea’s representative summer vacation spot, Gangwon Province. Four stars traveling Goseong, Yangyang, Gangneung, Donghae, and Samcheok in Gangwon Province. Land of Peace! What’s the charm of Gangwon Province, the place with beautiful nature?